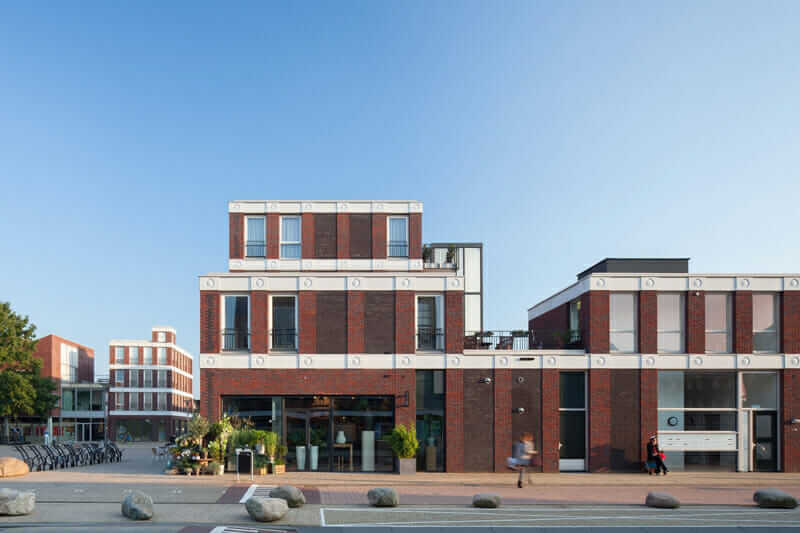 Attika Architekten's Emoticon Facade on a building in Amersfoort, the Netherlands. Image by Bart van Hoek. It’s always fascinating when architecture breaks the bounds of the profession and becomes a topic of debate in the wider profession. Fortunately, thanks to the Internet, there is no shortage of such occasions. Whether it’s the click-seeking cluster of articles that found a client for an improbable cliff-hanging design or the forums that suddenly decided that most modern architecture looks “evil,” the viral trend treadmill ensures that there are plenty of opportunities for the layperson to offer their two cents on the output of our profession. The flavor of the summer of 2017 is Attika Architekten’s Emoticon Facade. This thoroughly sensible and polite building has caught the public’s attention thanks to its inclusion of emoji-shaped decorative additions. While most of the Internet has responded with heart-eyes, there’s no shortage of people for whom these carved emojis are a clear indication that architecture, and by extension society, and by extension all of life as we know it, is doomed, never to recover. Such an opinion is legitimized by articles like this one in Wired by Sam Lubell, who in reporting on the building found two experts willing to take a big old smiley poop on Attika Architekten’s work. Given the role that these experts play in directing the conversation among the public, their arguments bear analysis. The facade’s design borrows from the Chicago School, with large windows framed by horizontal and vertical elements. Image by Bart van Hoek. Okay then, let’s talk about that design, shall we? 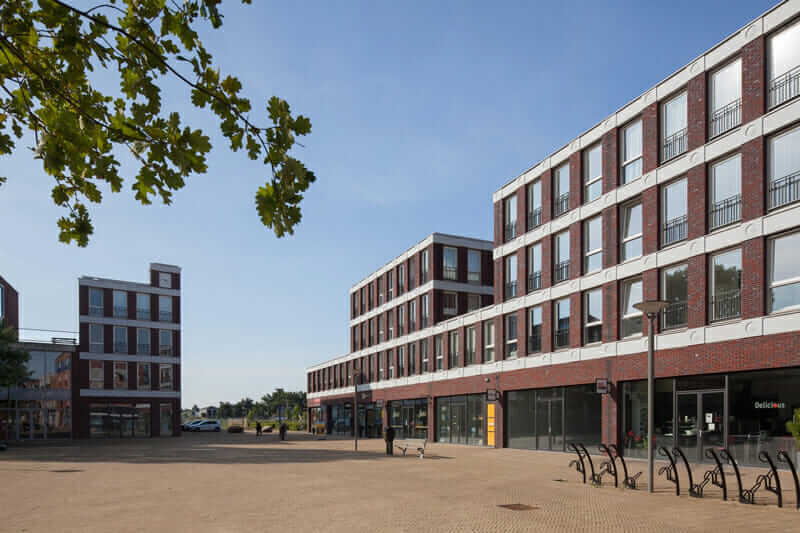 Located in Amersfoort in the Netherlands, the two-building complex has a simple, austere materiality and subtly civic massing that clearly owes a debt to greats from the Netherlands’ past such as Willem Marinus Dudok and Hendrik Petrus Berlage, or to other prominent North European proto-modernists such as Gunnar Asplund. 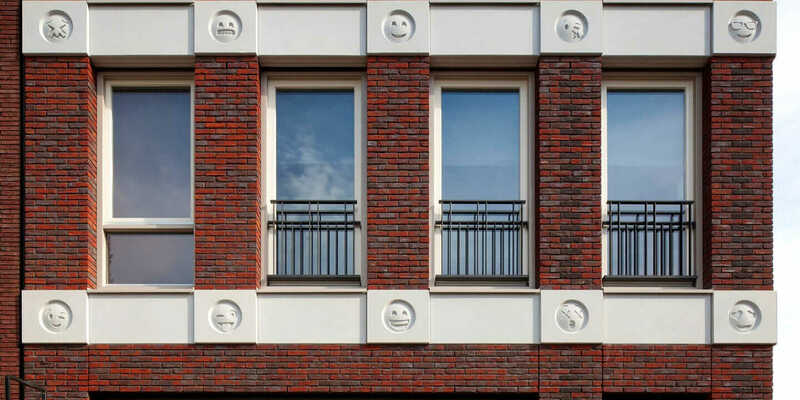 The facade’s emojis add a bit of unexpected humor to the building’s design. Image by Bart van Hoek. In its facade treatment, the design borrows from the Chicago School in the way that the large windows enabled by the steel structure are framed by horizontal and vertical elements; however, where the Chicago School skyscrapers emphasized the vertical elements, in this low-slung complex it is the horizontal white bands which are dominant. The ground floor glass shop fronts create an acceptable, if not exemplary, connection with what appears to be an underwhelming public space. Emoji decorations or not, you won’t find anyone who considers this design to be a masterpiece, but it’s unreasonable to conclude that the entire project is some sort of bad joke. Even the jokey addition of the emojis serves an architectural purpose: instead of being used throughout the design, the emojis are confined to the key facade on the more civic-looking building in the complex (the one which is topped by the clock face). The extra attention given to this facade establishes a hierarchy within the design, giving it coherence. In conclusion, architecture is serious, and this is serious architecture. Furthermore, at the risk of adding another unwanted opinion to the pile, by my estimation it is the design’s very ordinariness which makes the emojis work. They appear in a place you’d expect to see a slight embellishment of some sort, but on a building which you’d never expect to have a sense of humor. It’s this bait-and-switch that brings delight. The emoji building’s horizontal white bands emphasize the low-slung nature of the structure. Image by Bart van Hoek. You know what else really dates architecture? Dates. And yet for hundreds of years, it was fairly common practice for buildings to proudly display the date they were constructed, presumably because designers back then had no sense of shame. One can only imagine how relieved the 4th-century designers of the Arch of Constantine must be right now; their use of Roman cultural references in their decoration could have been really embarrassing, but luckily we still all wear togas on a daily basis and the Arch of Constantine is still totally kawaii. The facade provides design coherence in an otherwise nondescript public area. Image by Bart van Hoek. Here we may be getting somewhere. Emojis are supposed to signify things, and this “language,” simple as it is, was largely ignored in the design of the building. But the perfect is the enemy of the good, and for most members of the public, such concerns would not even occur to them when seeing this building. 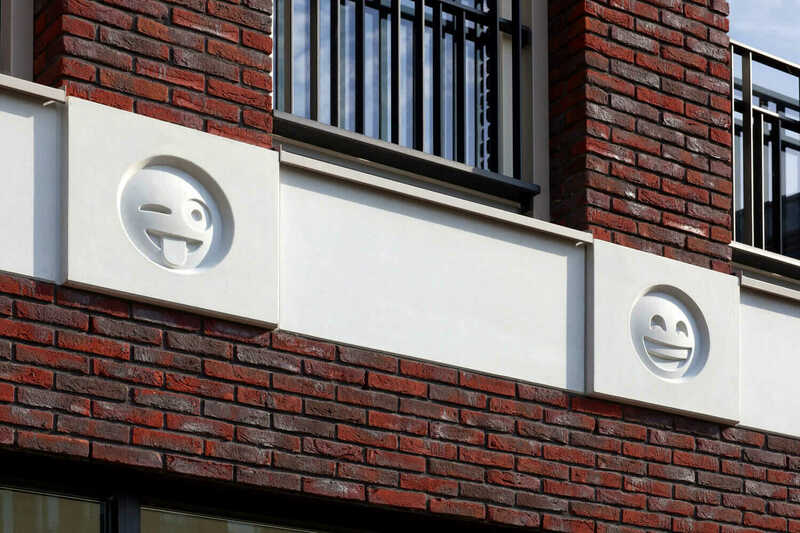 Perhaps future designs will be able to use emojis in a more sophisticated manner, but Attika Architekten did a service in testing the waters to see how people would react to the idea. And guess what? For the most part, the public really liked it. To borrow an expression from one Wired commenter, this profession can sometimes seem to have its architect’s scale firmly up its a**. When an architect breaks this status quo—to the delight of literally millions of members of the public—why do some invest so much energy in trying to convince others that it was a bad, ill-considered idea? 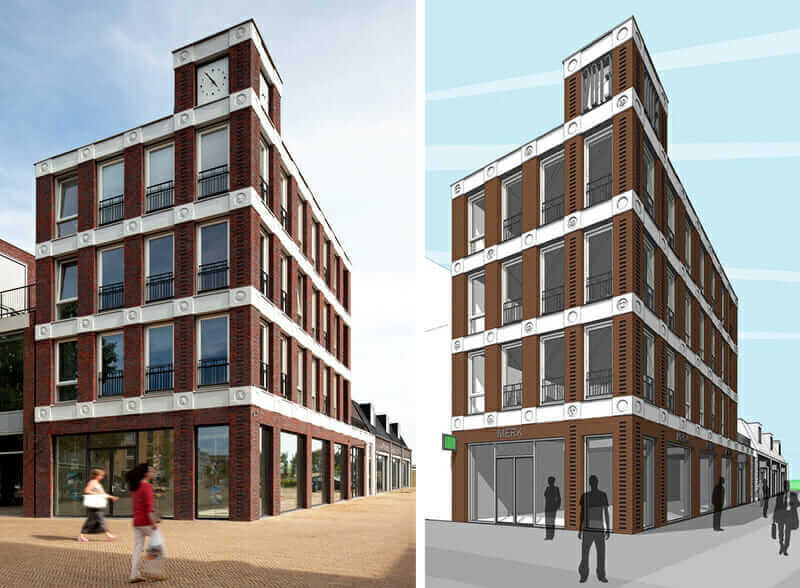 Why are we so quick to gloss over the thought and expertise that has been brought to a design in order to make architects seem like they don’t have a clue what they’re doing? It’s enough to make one sadface cryingface. Article by Rory Stott. A version of this article appeared previously on ArchDaily.